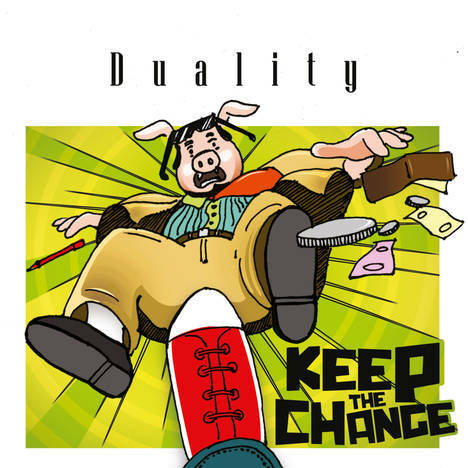 Keep The Change | Duality | OK Listen! 'Accomplice' - Lyrics & Music by Mihir Ranganathan. 'Mastermind' - Lyrics & Music by Manoj Sreekumar. 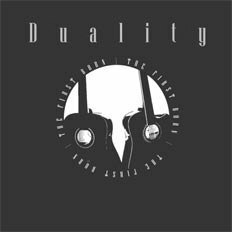 'Achilles'- Music by Duality & Sapta, Programmed & Arranged by Sapta. Recorded by Baba L Prasad at Digisound Studio, Chennai. Mixed and Mastered by Robin Joseph at Console Hut Audio, Chennai. SFX on 'Mastermind' by Anand Krishnamoorthi. Additional Voices on 'Shut Up! '- Govind Ashok Kumar, Purva Jaiswal, Rachel Philip. All instruments and arrangement on 'Achilles' except Guitars by Marti Bharat, Sapta. Guitar Solos on 'Shut Up! ', 'Out there', 'Toxic' & 'Mastermind' by Manoj Sreekumar. Guitar Solo on 'Accomplice' by Mihir Ranganathan. Cover Art & Layouts: Mihir Ranganathan. Manoj thanks: As always- God & Gurus, my incredible parents for their never ending support, all my family members for their love and support. Thanks to all friends, fans and event organisers for believing in DUALITY and helping us get this far. Extra special thanks to my beloved Sutapa, Ayush & Abhay. Mihir thanks: Family, friends and our believers.